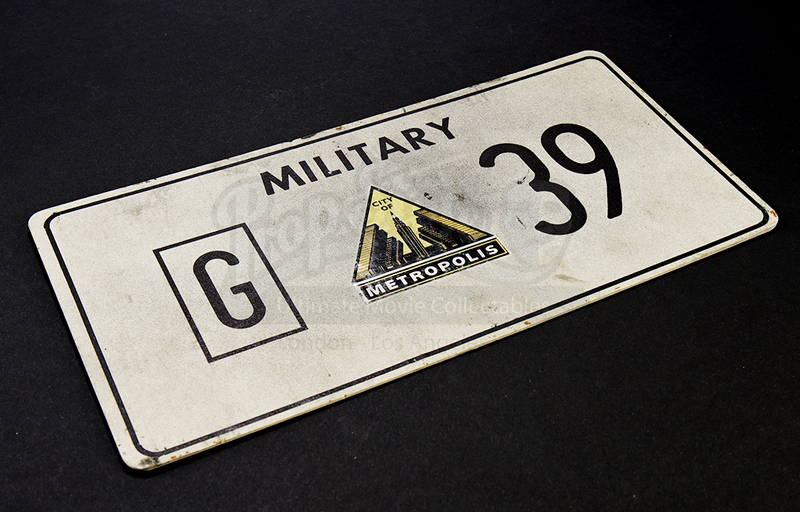 A weathered military license plate made for the production of the TV series Lois & Clark: The New Adventures of Superman. 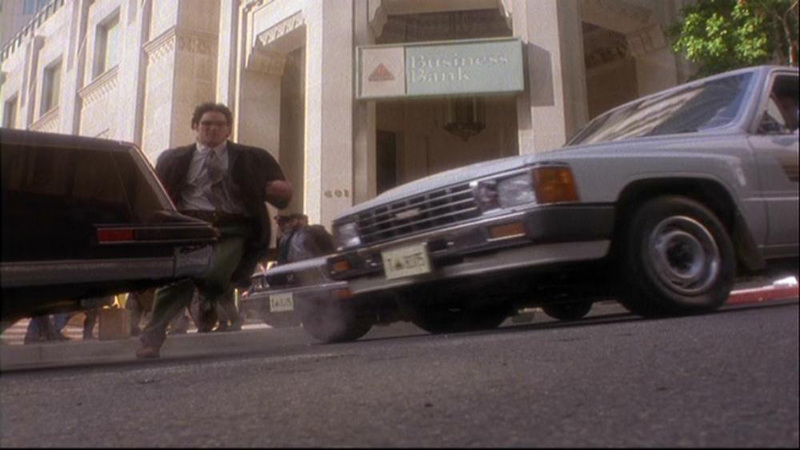 Similar plates can be seen throughout the series as Superman/Clark Kent (Dean Cain) combats evildoers and romances Lois Lane (Teri Hatcher) after moving to Metropolis. 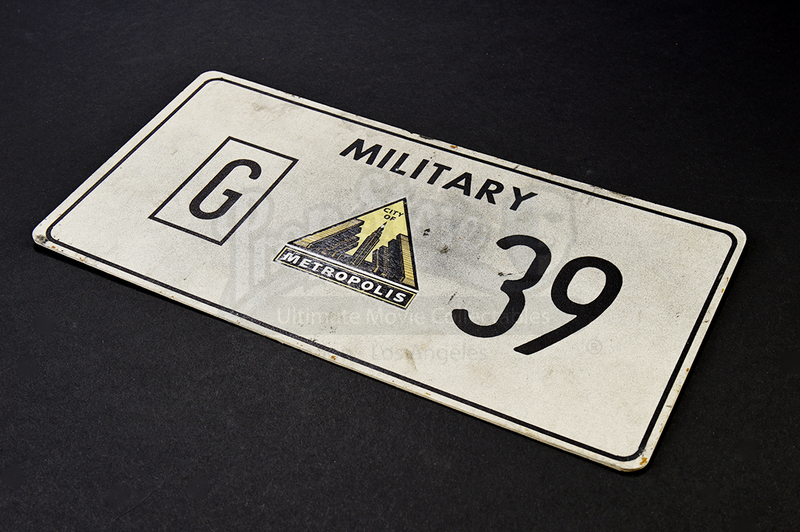 The plate is made of card stock and is colored gray featuring 'Military' and a pair of numbers printed in black. 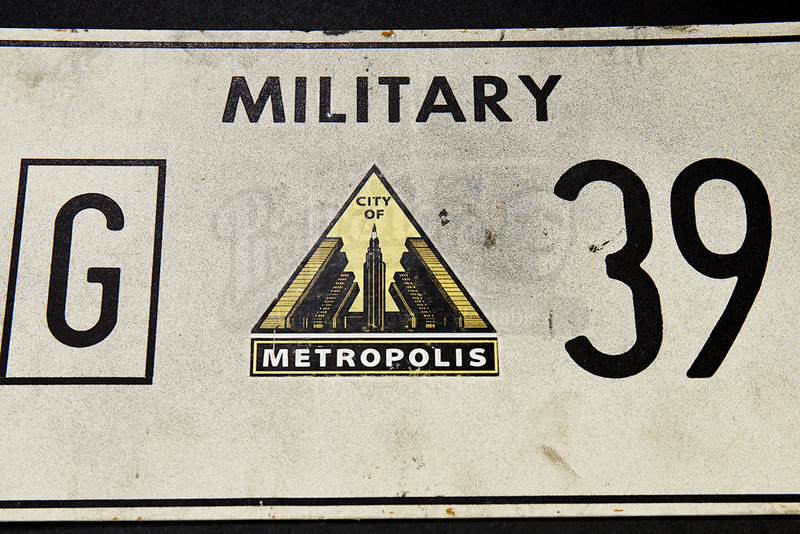 Additionally, the center of the plate features a triangle-shaped sticker with multiple skyscrapers and reads: “City of Metropolis.” The plate shows some wear due to production weathering and use but remains in overall very good condition. 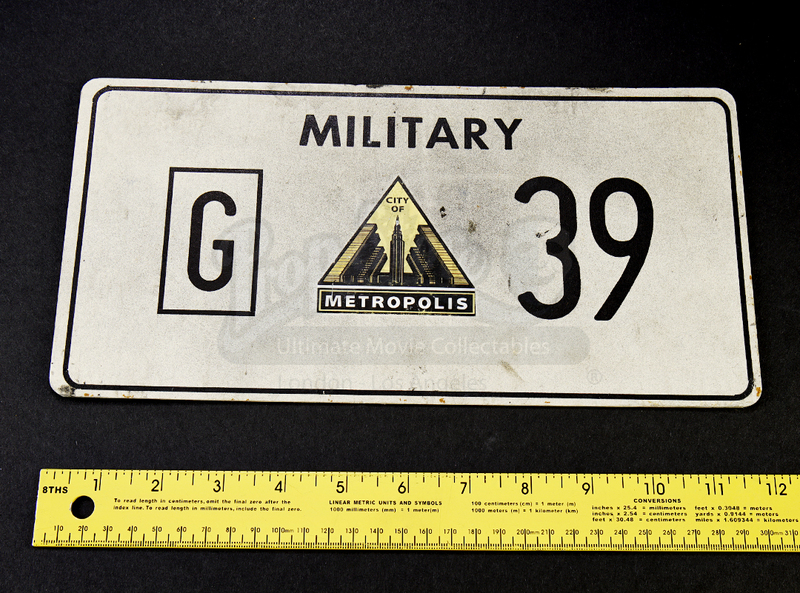 License plate may vary in condition and number.